Gary Rogers; Ian Bermingham, Conor Kenna, Evan McMillan, Derek Pender; Derek Doyle (David McMillan h/t), Stephen Bradley (Paul Crowley 78 mins), Shane McFaul, Sean O'Connor; Danny North, Daryl Kavanagh (Sean Stewart h/t). Conor Winn; Paul Sinnott, Yob Son, Eric Brown, Eric Holland; Jin Gu Kim (Oscar Sibanda 56 mins), Alan Murphy, Bobby Ryan, Gary Kelly, Stephen Walsh; Ronan Cauldwell (Euduardo Dusi 65 mins). 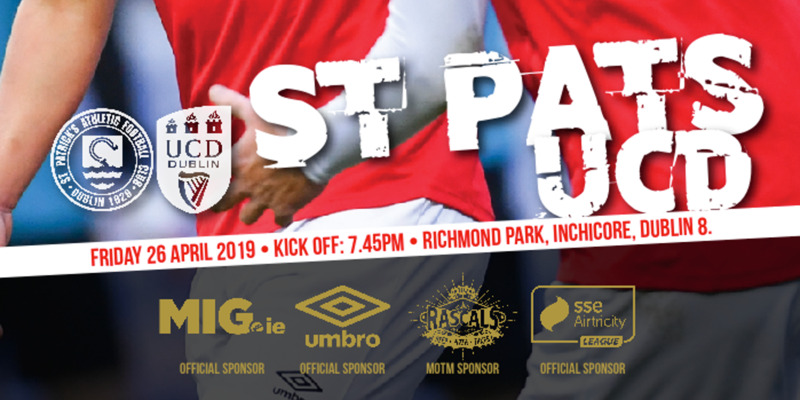 Goals from Sean O'Connor, Stephen Bradley, Danny North and Paul Crowley gave St Patrick's Athletic their fourth Airtricity League victory over Galway United this season, before a crowd of 649 at Richmond Park. O'Connor's drive past Galway goalkeeper Conor Winn opened the scoring after two minutes and Bradley's penalty doubled the lead in the 14th minute. North scored the third on 37 minutes before O'Connor's shot went in off the crossbar on 42 minutes. 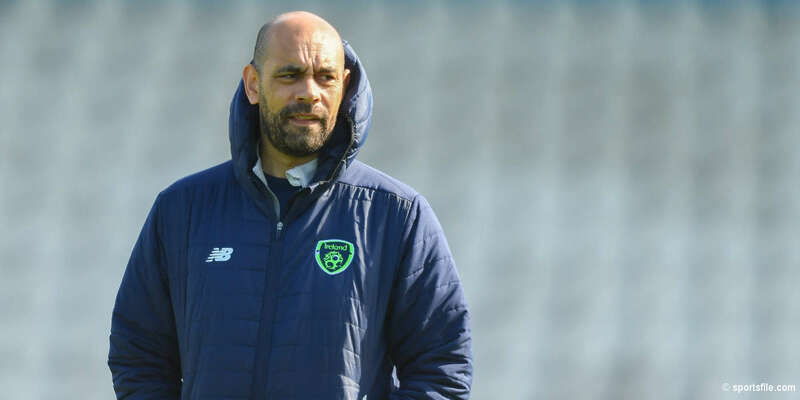 North netted the fifth on 76 minutes and Crowley the sixth on 80 minutes before Paul Sinnott scored a consolation for Galway on 81 minutes. The Tribesmen's miserable losing league streak now stands at 22. St Pat's had beaten Galway well in those three previous league meetings this season, scoring ten goals and conceding just two in the process. And they got down to business immediately in this encounter and were ahead with just one minute and 20 seconds on the clock. O'Connor finished off a superb move, which had featured important touches from North and Daryl Kavanagh, with a neat drive from the right of Winn's goal which gave the United netminder no chance. That early strike gave home supporters hope that their side may go goal-crazy against crisis-club Galway, who could name only three substitutes on their bench. That's exactly what happened and the second goal came, from the penalty spot, on 14 minutes. Referee Graham Kelly ruled, harshly, it has to be said, that Yob Son had handled in the area and awarded a spot kick. Bradley stepped up and slotted a cool confident strike past Winn. Galway's Stephen Walsh was having a great game out on the left wing and got back to make a vital block coming up to the 20-minute mark to stop what looked a likely Pat's goal. North and O'Connor were involved on the left before Ian Bermingham delivered a low dangerous ball into the box. 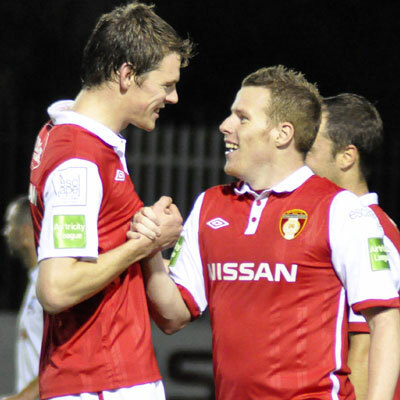 Derek Doyle was best of the Pat's men to capitalise but Walsh saw the danger and slid in to clear the ball. Galway didn't have a great number of chances on the Pat's goal as the half developed, though Gary Kelly's effort on 29 minutes forced Gary Rogers into a fine save. Winn did well to save North's shot on 36 but was beaten by the Englishman a minute later. Bradley's corner wasn't cleared and North got on the rebound and smashed the ball into the net. Pat's finished the half in fine style and O'Connor netted his second on 42 minutes with a fantastic shot that crashed in off the crossbar. 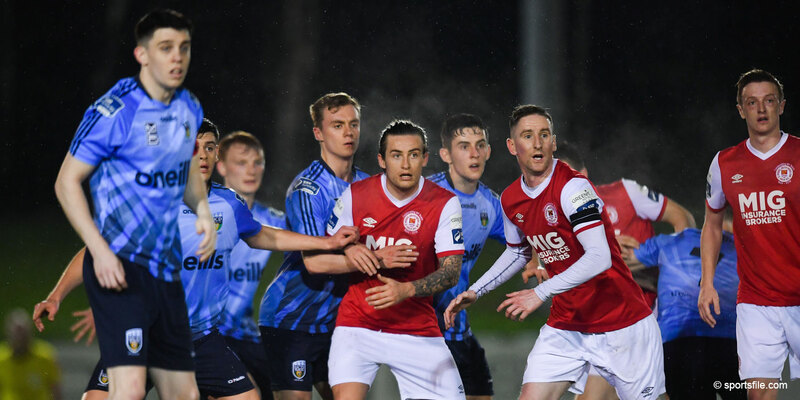 That goal came at the end of another excellent Pat's move that had involved Kavanagh and Bradley, who were having stand-out performances for Pat's. Galway started the second period in much better fashion than they had the first, and Kelly went close again with a long range shot on 51 which flew over Rogers' bar. Pat's appealed for a penalty on the hour when Son took down David McMillan when dispossessing the Pat's sub just inside the box, but referee Kelly was happy that Son had gotten the ball. North scored his second of the night and Pat's fifth on 76 minutes when he got on O'Connor's pass and beat Winn with a low shot that went in off the left hand post. Crowley made it six on 80 minutes when he pounced for the ball after the Galway defence had thwarted O'Connor, before Galway got a consolation on 81 when Rogers failed to hold Sinnott's shot and allowed the ball through his hands and into the net.